Joslyn Total Protection Solutions, Surge Protectors, from Innovative Control Systems, Inc.
Total Protection Solutions (TPS) is an innovative family of surge protection products, merging 50 years of power protection field experience with the leading manufacturer in the surge suppression industry. TPS is your answer to total protection from harmful electrical disturbances that could destroy equipment and cause downtime to your systems. The Total Protection Solutions focus is on you -the end user - and your needs, protecting your electrical distribution, telecommunications, and data systems throughout your facility. 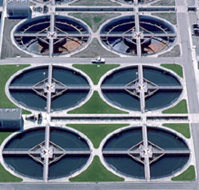 Total Protection Solutions offers an optimum layered surge protection solution to insure complete transient protection for the smallest pump station to the largest waste water treatment facility. Low Profile has a unique flush mount sub-panel design with an unmatched "enhanced transient filter" (ETF) that will maximize the results for all sub-panel applications. Dual component level fuse design for added safety.